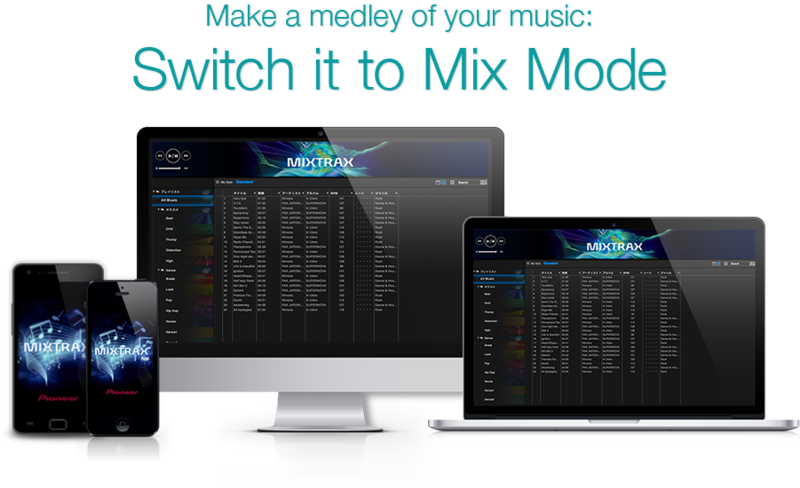 Play a nonstop mix of your favorite music with MIXTRAX! From this website you can download our free music maintenance application for PC featuring [MIXTRAX], our very own technology which allows you to mix songs together, and you can view the online manual as well. Use your favorite songs and enjoy mixplay that sounds like a professional DJ! Based on Pioneer’s own knowledge and experience with professional DJ devices, songs with a similar "mood" are mixed seamlessly. You can mix and play for nonstop excitement. Plays files imported from music libraries on your computer. Automatically selects and links songs with similar beats and melody while controlling their tempo and effects. Automatically creates the Recommend Playlist according to each song's "mood" and the Dance Playlist perfect for street dancing. Users can choose the mixing style to link one song with another. With one click, you can transfer the playlists to and enjoy them on STEEZ AUDIO and STEEZ PORTABLE, which have a link feature with MIXTRAX, and MIXTRAX-compatible car audio (all sold separately). 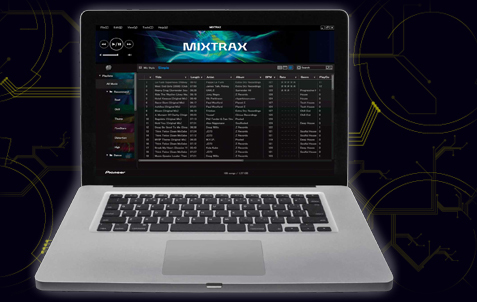 MIXTRAX uses its own technology to analyze track and uses the beat positions, music types, chorus and other analyzed information to create nonstop mix and automatic playlist.